Thanks to all who took the survey & congratulations to our winners ! 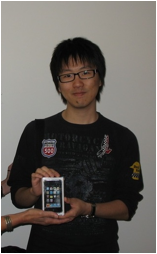 Second Prize Winners of an iPod Nano: Sanjeev Ruwanpura (Business Management), and Alicia Chan (Nutrition). Third Prize Winners of $50 Campus Stores Gift Certificates: Olivia McEniry (Nursing), Devin Brazier (Politics), Lindsey Glazier (RTA), and Rihab Jaralla (Mechanical). The number of responses increased by 13%, up from 823 in 2007, to 928 in 2010. 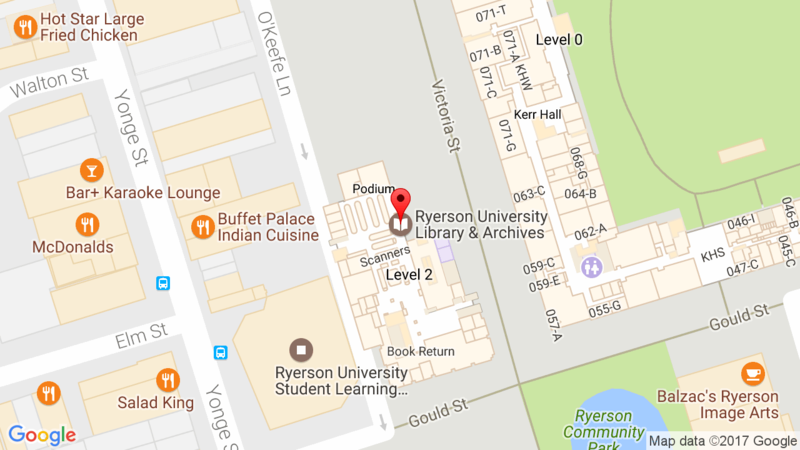 As with the 2007 survey, the respondents were highly representative of the Ryerson community: responses were received from all Faculties, undergraduates, and graduates in proportion to the populations in those groups. Many of the initiatives undertaken in response to the 2007 survey have led to considerable improvement in our 2010 LibQUAL+ scores. 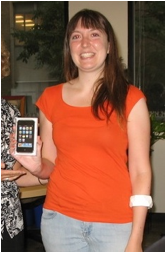 Users are much more satisfied with our collections and their ability to access them. They are also more satisfied with the service they receive from staff. 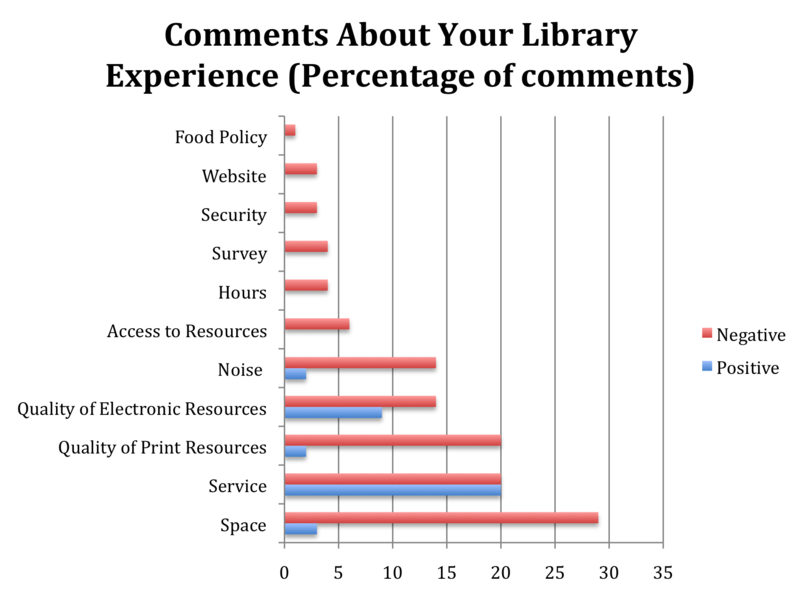 Unfortunately, and perhaps not surprisingly, our community is much less satisfied with the Library as a space. The above chart shows a trend towards more positive scores in the 2010 results in most areas, with the exception of space. Users generously left open-ended comments to help us further understand their responses. They mirror the overall survey results, but leave us with a rich set of qualitative date to use for further investigation. The chart below shows the comparison between the 2007 and 2010 concerns in descending order of the value placed on various categories highlighted. We have launched a new homepage search interface that will greatly enhance our users searching experience by facilitating the ability to “Search Everything” across our collections at once. We are purchasing materials ready to put on the shelf significantly reducing wait times for new materials, as well as experimenting with user driven purchasing software. We have launched a new e-Reserves interface (ARES), allowing easier access and manipulation of these important materials. We anticipate providing a new and enhanced interlibrary loan system that will offer the highly desirable direct to desktop delivery capability. We will delve more deeply into the survey results and focus on specific needs by each Faculty and better tailor collections to curriculum and research needs through the new Teaching Faculty Chairs and Committees. We will implement new extended hours beginning on September 19, 2011 and running through the Fall and Winter semesters. 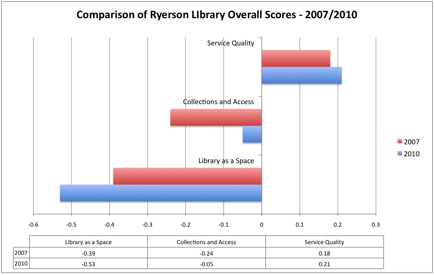 With respect to the Affect of Service, users continue to value the current customer service received in the Library, and respondents indicated that they have experienced improvements in service dependability, that they are much more confident about the service that they receive, and their service encounter are more courteous. We will continue to focus on improvements in our customer service training. An active Staff Training and Development Policy and Funding has been implemented, which is guided by user needs and feedback. We have begun implementing a comprehensive program that emphasizes best practices in human resource management that focuses on customer service outcomes. Designated certain floors for quiet study and others for group study creating purposeful separations. Established a Student Advisory Committee to work with us on space issues, equipment and furniture.